Used in hand gun applications and intended for periodic replacement to ensure that the hose nearest the operator's body is always in good condition. 1/2 in. (13 mm) ID x 6 ft (1.8m) long. 1/2 in. (13 mm)NPT ends. Working pressure up to 15,000 psi (1000 bar). Includes 6 ft. (1.8 m) rubber hose hose and cordura covered shroud and safety shroud adapter. For working pressures up to 15,000 psi (1000 bar). 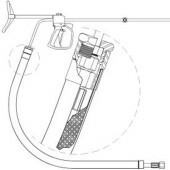 Used in hand gun applications and intended for periodic replacement to ensure that the hose nearest the operator's body is always in good condition. 1/2 in. (13 mm) ID x 10 ft (3 m) long. 1/2 in. (13 mm)NPT ends. Working pressure up to 10,000 psi (700 bar). Used in hand gun applications and intended for periodic replacement to ensure that the hose nearest the operator's body is always in good condition. 1/2 in. (13 mm) ID x 6 ft (1.8m) long. 1/2 in. (13 mm)NPT ends. Working pressure up to 10,000 psi (700 bar). Used in hand gun applications and intended for periodic replacement to ensure that the hose nearest the operator's body is always in good condition. 1/2 in. (13 mm) ID x 10 ft (3 m) long. 1/2 in. (13 mm)NPT ends. Working pressure up to 15,000 psi (1000 bar). Used in hand gun applications and intended for periodic replacement to ensure that the hose nearest the operator's body is always in good condition. 1/2 in. (13 mm) ID x 10 ft (3 m) long. 1″ Type M ends. Working pressure up to 20,000 psi (1400 bar). Used in hand gun applications and intended for periodic replacement to ensure that the hose nearest the operator's body is always in good condition. 1/2 in. (13 mm) ID x 6 ft (1.8 m) long. 1″ Type M ends. Working pressure up to 20,000 psi (1400 bar). 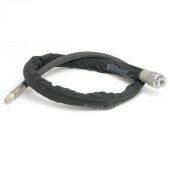 Includes 10 ft. (3 m) rubber hose hose and cordura covered shroud and safety shroud adapter. For working pressures up to 10,000 psi (700 bar). Includes 6 ft. (1.8 m) rubber hose hose and cordura covered shroud and safety shroud adapter. For working pressures up to 10,000 psi (700 bar). 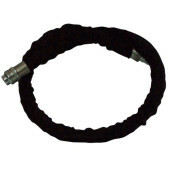 Includes 10 ft. (3 m) rubber hose and cordura covered shroud and safety shroud adapter. For working pressures up to 15,000 psi (1000 bar). 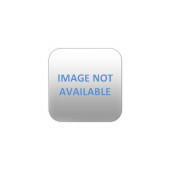 Includes 6 ft. (1.8 m) thermoplastic hose (1″ Type M Female ends), 6 ft. (1.8 m) thermoplastic shroud, and safety shroud nut. For working pressures up to 20,000 psi (1400 bar). For connection to Jetstream guns with welded 20K Port Male inlet fitting. 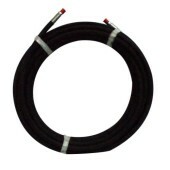 Includes 10 ft. (3 m) thermoplastic hose (1″ Type M Female ends), 10 ft. (3 m) thermoplastic shroud, and safety shroud nut. For working pressures up to 20,000 psi (1400 bar).